The modern hotel "Odessa" was built in 2001. This is the biggest hotel in Odessa. It's really unique located almost in the sea in the center of Odessa harbor. It has 158 comfortable rooms in 19th floor building. The only drawback of this hotel is a long way to the city center. To get to the Ekaterininskaya sq you need to overcome 192 steps on the Potemkinskaya stairs. 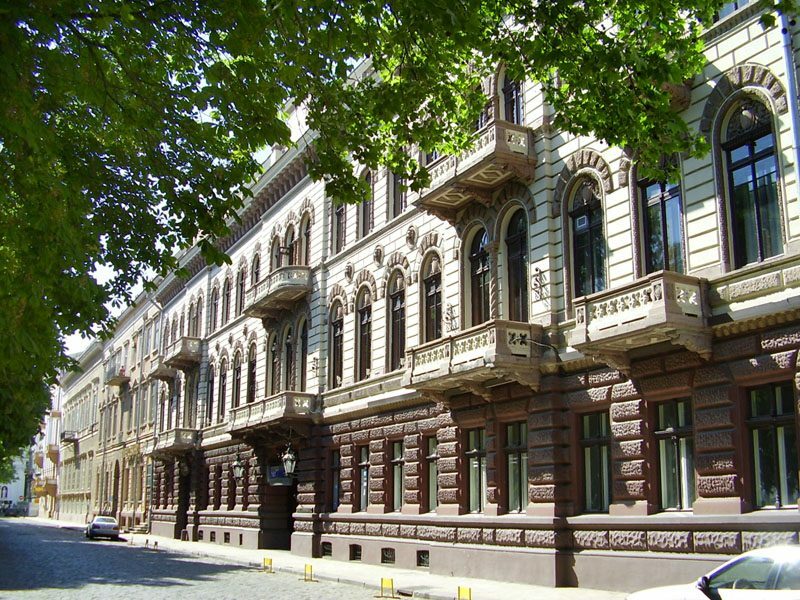 It is one of the oldest hotels in Odessa. It was built in 1867. 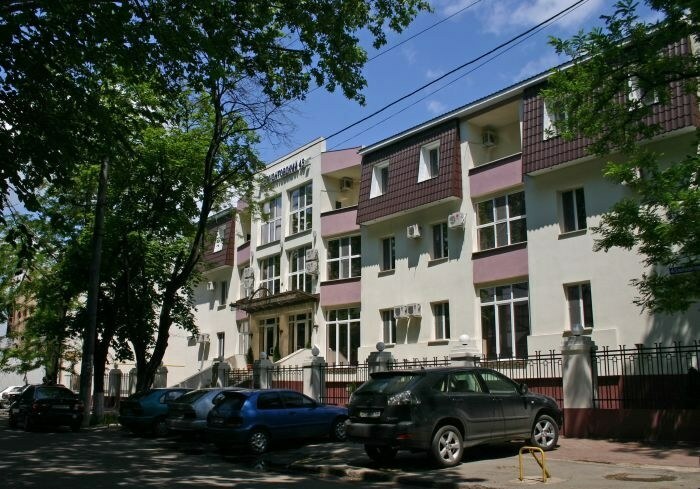 It is well located within walking distance of some of the most interesting sites in Odessa. The last renovation took place 20 years ago and its state and the level of services doesn't correspond to 4 stars hotel rating. 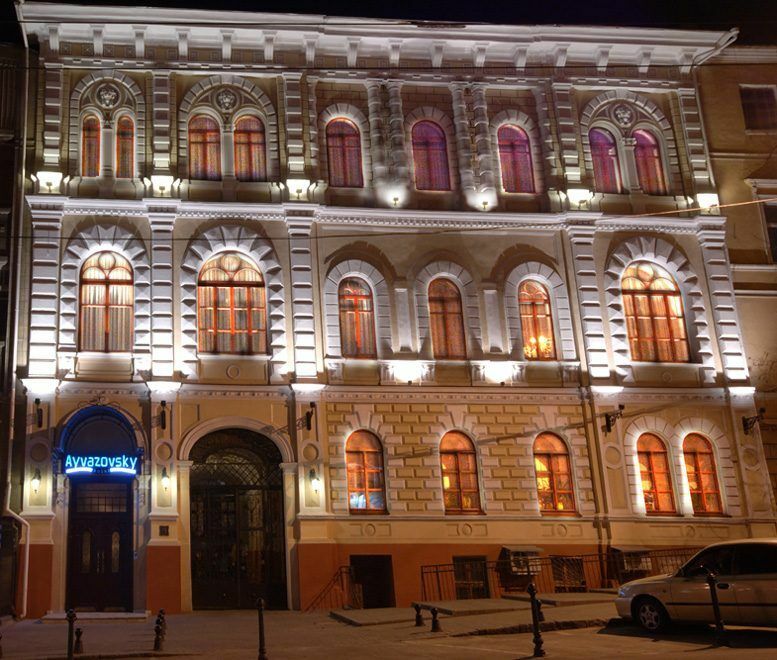 The Hotel is located in the city center of Odessa, near the adorable Opera and Ballet Theater, and about 100 miters by foot from the Deribasovskaya Street. This hotel have potentials and also give impressions to be a great hotel. But small and poor rooms with high prices and low service from reception drags the hotel rating down. 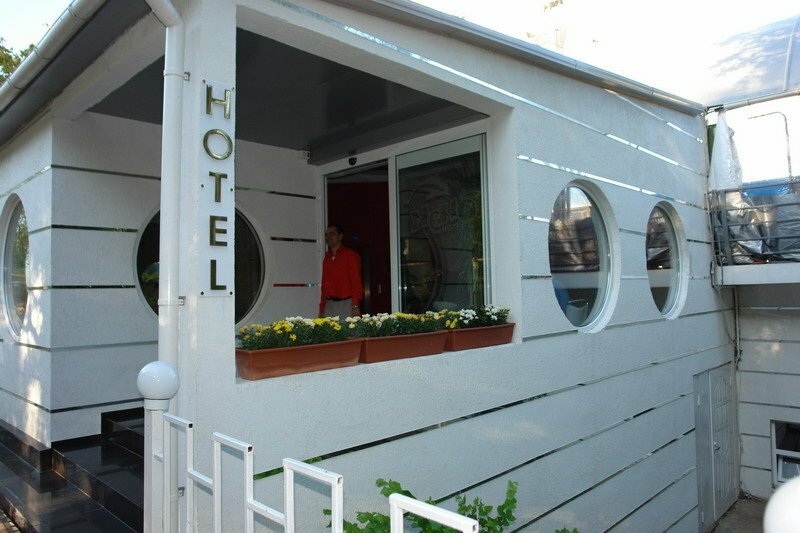 Hotel is suitable for tourists and business people alike. It has great location at the end of central Deribasovskaya street, and besides it's very close to the main restaurants, shops and bars etc. Continental hotel quiet during night-time. Rooms, staff, business center, breakfast is very good. It is a 4 stars hotel of British royal palaces style like Hampton Court or saint James Palace. An exact copy of Big Ben and a doorkeeper dressed like a beefeater also resembles you old England. It is a pretty good-looking outside hotel and quite average inside. 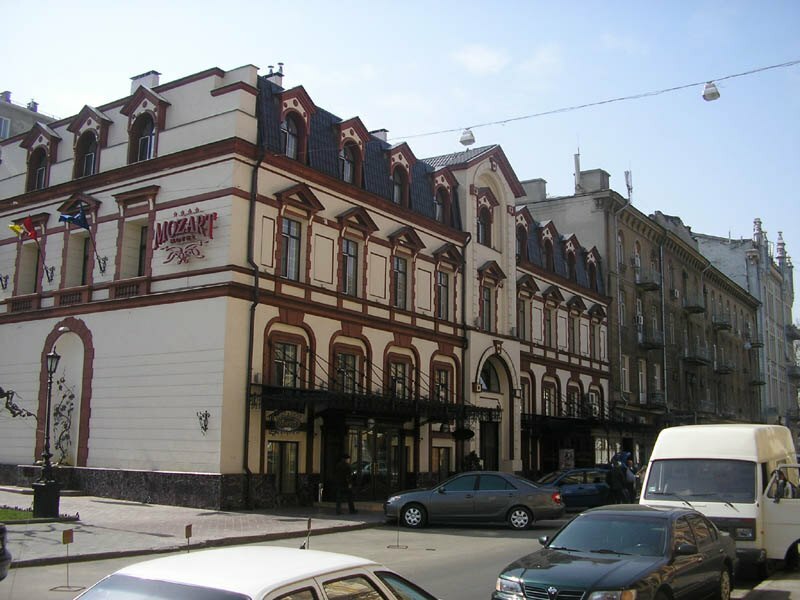 The hotel is situated in 15 minutes to the central Deribasovskaya Street but close to a park area. There is pretty large lobby with a comfortable seating. But it doesn't has an ATM in the hotel. There is the Glasgow bar near the hotel. It's open 24hrs for drink and food. The prices are from $177 to $633 per night and due to such prices it is expected more than it is indeed. 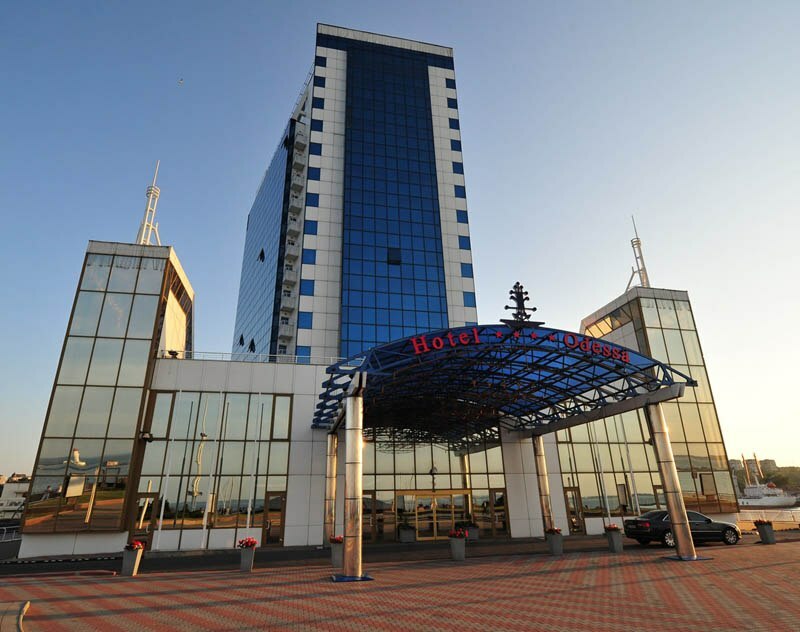 A five star hotel located in a picturesque and rich part of Odessa close to Otrada beach in the area of Franzuzskyy boulevard. 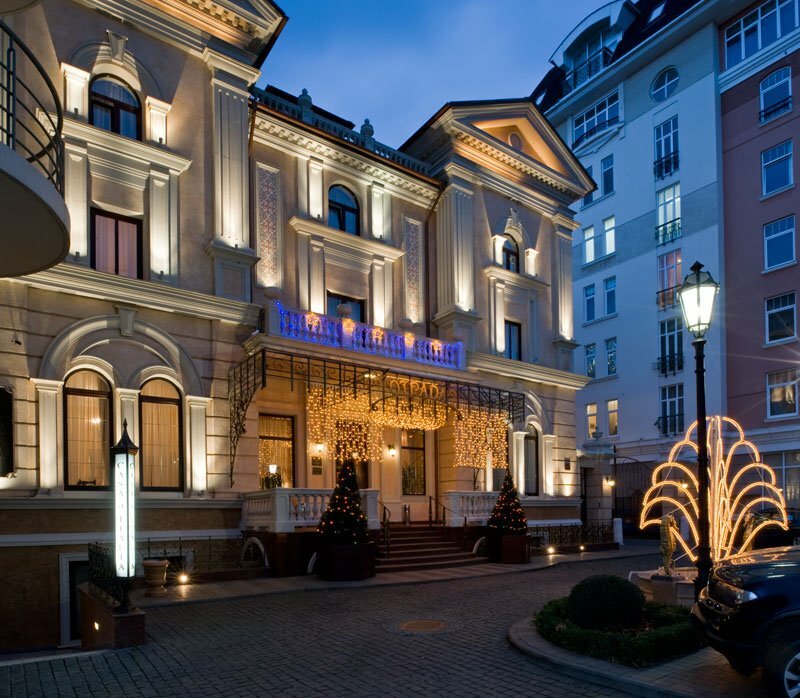 The style of the hotel is classical and sophisticated. The building is built in the end of 19th century by the project of the famous architect Rossi and now the hotel is equipped with new technology devices for the visitors’ comfort. The room had both cable and Wi-Fi internet capacity. If you want to devote yourself just to the sea rest it is OK! It is a little bit far from the city center and from the action. So if you want more fun you need to take a taxi to go to the center or getting to some nightclubs where nightlife is boiling. The prices starts from $174 and up to $1000. 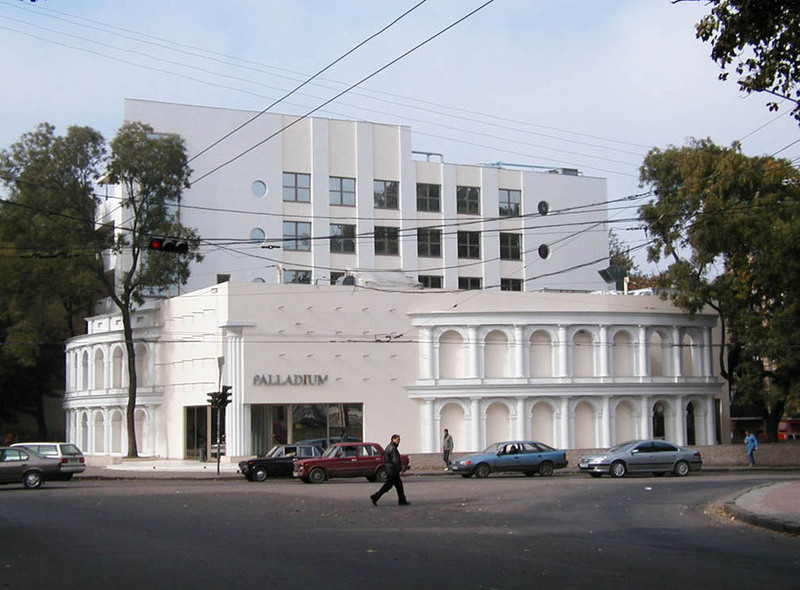 New refined Spa Hotel «Maristella Club» was opened in Odessa in 2009. The hotel located just 50 meters from the "10 station of Big Fountaine" beach. The rooms of the hotel are the example of luxurious and cosiness, in a combination with Wellness SPA complex, delectable dishes at the restaurant and on a summer open terrace, will allow visitors to feel that they are elite. So if you want to spend your time mostly at the seacoast then it is a good choice but you have to be ready for the prices starting from $220 up to $950 and to be ready drive by taxi if you want to get to the city center to enjoy sightseeing of Odessa. 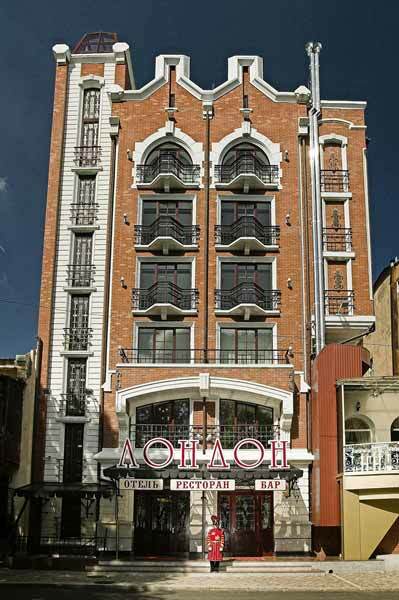 It is a new 4 star Odessa hotel, which offers you and your friends a comfortable accommodation. 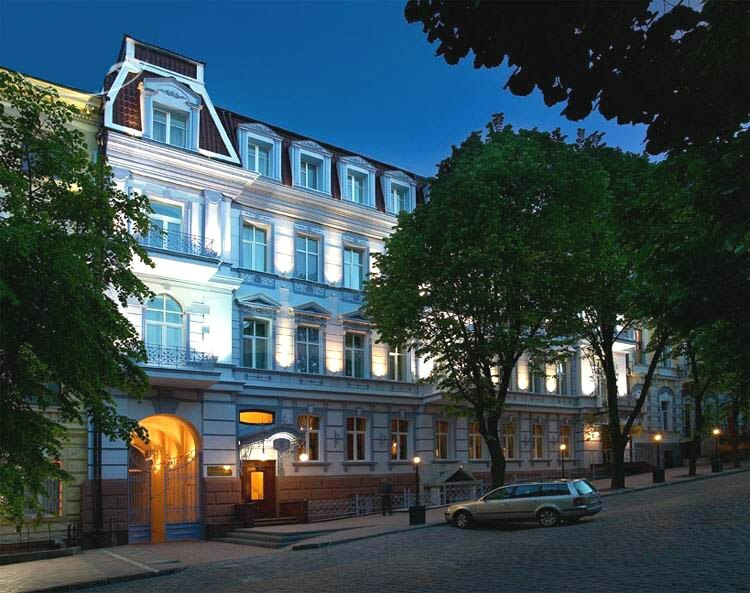 The hotel is situated in 15 minutes walking to the beach Otrada and at the same time is not so far from Deribasovskaya Street (main street) and sightseeing of Odessa though it is better to take a taxi, as it is 20 minutes walking. If you are nightlife lover it is quite a good place to spend time without going out of the hotel as so as there is “Palladium” nightclub that is free to enter for the hotel clients. But if you would like just to have a rest the noise of the club can probably bother you. As for the rooms they are comfortable and cozy though the staff of the hotel are a little far from you have expected from hotel services. The prices are more or less OK comparing with others and starts from $100 up to $245, but still quite expensive for local standards. This hotel was opened in Odessa in March, 2006. It is a small hotel located near the sea (beach Langeron). It has special rooms for non-smoking people. Mini-bars, slippers, bathrobe equip rooms of Premium category. The location is OK for having rest in summer time if you are going to devote your time for getting sunburn and bathing in the sea, but if you want to get more impression of the city you have to go to the old city center which is 15-20 minutes walking. Though the prices of the hotel makes you feel better as it is very reasonable and start from $65 up to $100. Business class hotel offer you supreme accommodation in the center of Odessa close to most of Odessa sightseeing like Opera and Ballet Theater and Philharmonic as well as a huge number of stores, boutiques, cafes and restaurants. The interior design of our hotel reflects respectable English Classics! The prices those are very high for local standards but more or less reasonable for western standards starting from $95 up to $165.